Kinuko Nakatani was Fuku Nakatani’s oldest daughter. 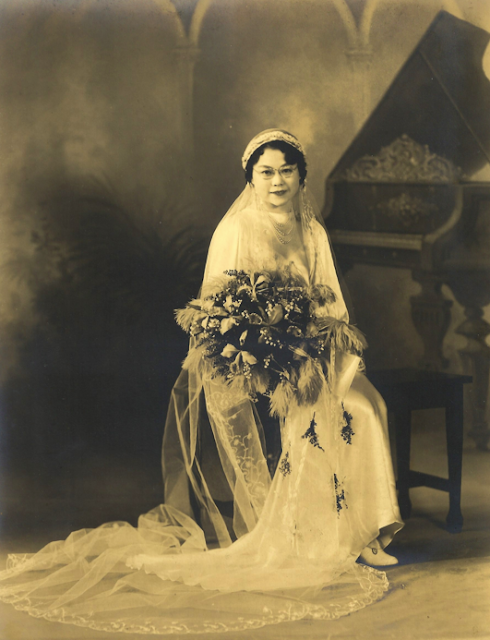 Like her mother, Kinuko was tall, beautiful, and poised. Trained by her mother, she had a gracefulness demeanor from years of lessons in Japanese dance and music. As a teenager and young adult, she held the attention of many suitors and was always the metaphorical “belle of the ball.” Perhaps she was a bit exploitive of others desires; She innocently flirted with many but always out of reach to all. A little spoil was warranted -- she had her pick of any man. And, from near and far, rich and poor, educated and not, every man felt that maybe he was the one to win her heart. Kanekichi was ten years older than Kinuko. She caught his eye even as a child when he first met her on that fateful day he came to America. But, he thought little of it. But there she was, in and out of his life over the years. In the early years, she was just serendipitously around as he met with Fuku on social occasions and otherwise. Then, he’d see her perform at the Nippon Kan Theater. And, in more recent times, they were seen together at performances at the theater and occasionally around town. By 1933, Kinuko was 22 years old, and it seemed that she had “settled down” – she was now only seen with Kanekichi. But, perhaps ironically it was never clear what their relationship really was. Kinuko was largely unaware and oblivious to Kanekichi’s background. The extravagance and opulence of the time they spent together did not seem out of place. After all affluent and prominent suitors were commonplace. Her interactions with Kanekichi were just slightly more extravagant and refined. Kanekichi arrived at the Nippon Kan Theater for a performance. The found their seats. The seats were on the second row, near the left exits. “Their seats” meant seats that were always reserved for Kanekichi. They sat patiently, waiting for the start of the performance. Or, it appeared they were waiting. In reality, Kanekichi was personally checking up on business. The theater, which had an affiliation with the Toyo Club had some problems collecting money. 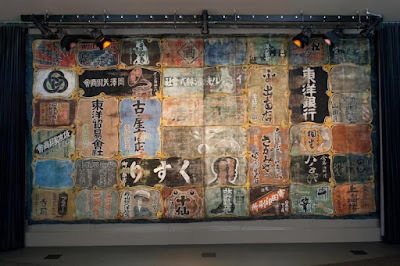 Performers had contracts with Nippon Kan. Those contracts were often underwritten and guaranteed by the Toyo club. And, thus money would be owed. The performers (and Theater) had not fully paid their obligations. 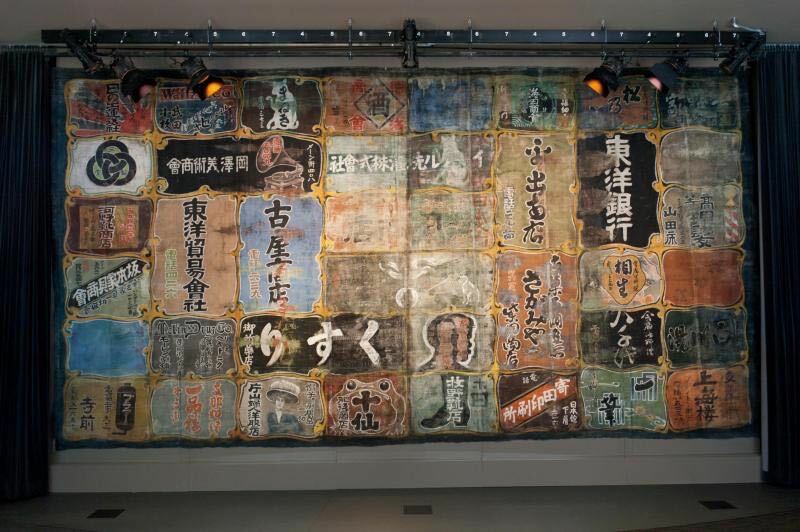 Further, local businesses sponsored the shows at the theater with advertisements that were painted on the curtains. In addition to the sponsorship opportunity, the Toyo Club also provided (stereotypical mob) “protection.” These sponsors were also delinquent in payment. Such delinquency was sloppy and revealed a discipline lapse in the “collection” part of the Toyo Club operations. The show would not go on until the obligations were settled. Toyo Club men held the stage curtain shut to prevent the show from starting. Toyo Club strong men rounded up performers, theater management, and sponsors on stage. Money was collected behind the curtain. After the show was delayed for nearly a half hour, a gunshot was heard, just before the curtain rises and the performance begins. No one thinks the wiser. Apparently, there was a small dispute over payment. At the end of the performance, Kanekichi and Kinuko went back stage. They glimpsed a bloodied dead man and two other badly beaten men being dragged out the back exit of the theater. Kinuko gasped, felt ill, and held back from having to vomit for seeing such brutal sights. Kanekichi approached an underling, Mr. Taniguichi, who was responsible for collections and the theater manger. Both were nervous. And sweating. “Is this all necessary?” Yamamoto sternly asked. He did not wait for an answer, as it was obviously rhetorical. “No it is not,” was his answer to his own question. Taniguchi was never seen again. Kinuko was aghast. But she says nothing. Ever. Some day, and that day may never come, I would like to call upon you to do me a service in return. Word has spread throughout Seattle. 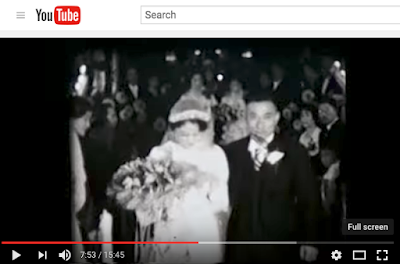 Kimpachi was taking a bride – Fuku Nakatani’s daughter. At first glance this might not have been obvious. But, on more careful introspection, it made sense. Kanekichi spent significant time with the Nakatani family for social reasons. 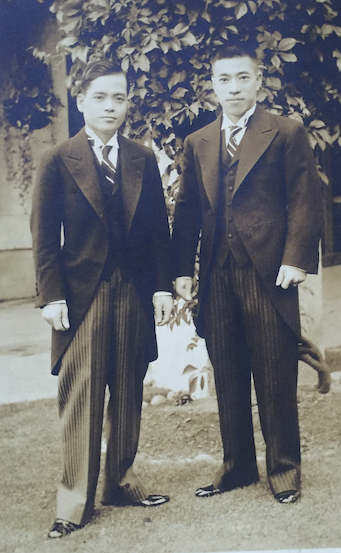 His interest in Japanese dance brought them closer, and his rise to “leadership” and prominence in the Japanese American community made him a worthy but dangerous suitor. Mrs. Nakatani rise to great prominence as classical Japanese dance instructor had elevated the Nakatani family to high esteem among Seattle Japanese. Her daughter would be an ideal bride. She was educated, beautiful, and sought. The marriage would be the union of two great families, consolidating power. It was a consolidation across both sides of the law and both sides of the Pacific. This of course, would create some expected uneasiness and hatred. While today was his wedding day, it was still a day like all others. A stream of visitors came to the 3rd floor of the Toyo Club to conduct business. There, Kanekichi and his few trusted officers including Mr. Ueno received his visitors and dispatched actions. It was an odd mix – business associates, military attaché, store owners, employees – all walks of life came to Kanekichi. Some brought information. Some brought gifts. Or payments. Some came to ask for favors. Or deliver threats. It was 11am. The morning meetings were nearly over. “Mrs. Nakatani is here -- your last meeting,” Ueno informed Yamamoto. The door was opened, and Fuku and Kinuko, walk in. Yamamoto’s wedding was just hours away. Fuku clutched the arm of her daughter, with a slight pull of her arm to steady her. Kinuko was a bit unsteady. She was timid, her head was down, and she was very nervous. They take seats in front of Yamamoto’s large wooden desk. Yamamoto too was sitting, but behind his desk. All was silent. Kanekichi nodded to his men that they should leave through the back door. Ueno stayed, standing in the background. A few seconds passed, but it seems like minutes. Fuku tapped Kinuko on the arm – a silent but firm prodding that she must speak. Kanenichi reached into his holsters, and pulls out not just his .38 but also a second pistol and placed it on the desk. “I will not marry you,” Kinuko asserted with as much authority as she can muster. “I….” she continued but was cut off by Kanekichi. Kanekichi motioned to Ueno, and Ueno opened the back door and Howard Kakudo entered. He was a scared, nervous, sweating and dis-shelved. Ueno lead him to a chair next to Kinuko. Kinuko was quite surprised to see him, and wide-eyed in anticipation of what would happen next. Howard worked for Yamamoto as a card dealer. He was from Los Angeles. He was a artist working in a new field of cartoons and animation. He spent time working for a then unknown man named Disney who was building an animation studio. Disney, while having some initial success, was struggling. Consequently, Howard struggled too. So, he moved north to study art at the University of Washington. Howard was a handsome man with jet-black hair, a trim fit, and eyes that made girls swoon. He caught Kinuko’s attention a few years ago, had a torrid affair with her, and their flame never quite extinguished. Even after she met Kanekichi. Days earlier, Kinuko had confided in Howard. After she pieced together who Kanekichi was and what his business was, she could not – would not -- marry him and live a life of crime as his wife. She begged Howard to run away, back to Los Angeles. Howard knew better. To betray Kimpachi would be the end. A death sentence, he believed. They could not run away. Fuku knew better. Kimpachi would not kill Kinuko or Howard. But their lives would be insufferable and miserable. They would wish they were dead. Acting pre-emptively, Howard had met with Kimpachi to inform him of the situation. Fuku too knew that Kinuko had to tell Yamamoto. Howard, like Kinuko, was scared. He too knew not of what would happen next. “I have a favor to ask.” Crazy. Kimpachi was asking for a favor? This was clearly a statement, not a request. It was command disguised as a favor. A favor that could not be refused. “Thank you Kimpachi,” Howard answered gratefully, and he rose to kiss Kimpachi’s ring. Kimpachi turned to Ueno. “Give Kakudo the information he needs. I think he wants to leave on the first flight tomorrow.” Kinuko rose from her seat. Her knees were weak and Fuku needed to steady her. Ueno nodded, and he lead Howard and Kinuko out the front door. Howard and Kinuko walked out in relief. Fuku and Kimpachi sat in silence. They both knew this was a difficult situation. Honor and dignity were at risk. “Saving face” in general, but especially in difficult times for Japanese (and Japanese Americans) was of utmost importance. Both contemplated this situation. Actually, both had all ready contemplated the situation. They were thinking the same outcome. But, it was Fuku’s obligation to speak first, after the appropriate signal from Kanekichi. Ueno escorted Fuku out of the office. The Japanese Nichiren Church was filled. All wait in anticipation. 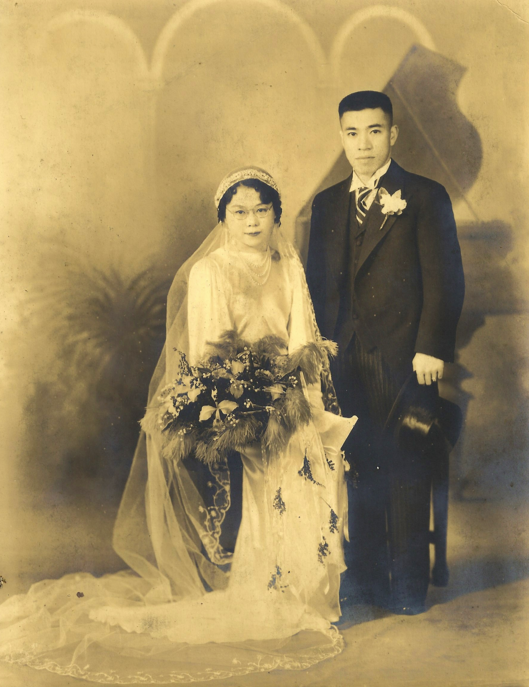 It was the only the second Nisei wedding to ever be held at the Church; apparently Nisei’s – which was my grandmother was but my grandfather was not – were typically not allowed to marry at the Nichiren Church. However, presumably his financial contributions and help with other nationalist “activities” curried favors. There was much interest in the union of the two families and the marriage of the Yellow Al Capone, as Kanekichi was now known. About 100 people attended. Most people there were local -- friends, family and business associates of the Toyo Club. But there were many people from clubs abroad and some officials from canneries in Alaska. Kanekichi stood at the front of the church in front of the Buddhastu-dan. All eyes were at the back of the church awaiting the arrival of the bridal party. First, the ring boy made his way down the aisle, followed by several bridesmaids. Last, all awaited the bride. At first, Fuku’s husband, Yohisonuke appeared at door. His daughter took his arm and they begin their walk down the aisle. The crowd gave a hushed, collective gasp, as they caught their first glimpse of the bride. It was not Kinuko. But Helen, Fuku’s youngest daughter. Indeed, Kimpachi had married the Fuku Nakatani’s Daughter. Nothing ever more was ever questioned or spoken. After the ceremony, cars awaited the wedding party. Kanekichi and Helen depart in a Hupmobile, with bullet proof glass windows. The reception was held at Kinkado Café, a Chinese restaurant at 6th and Main, a few blocks away from the Nichiren Church. 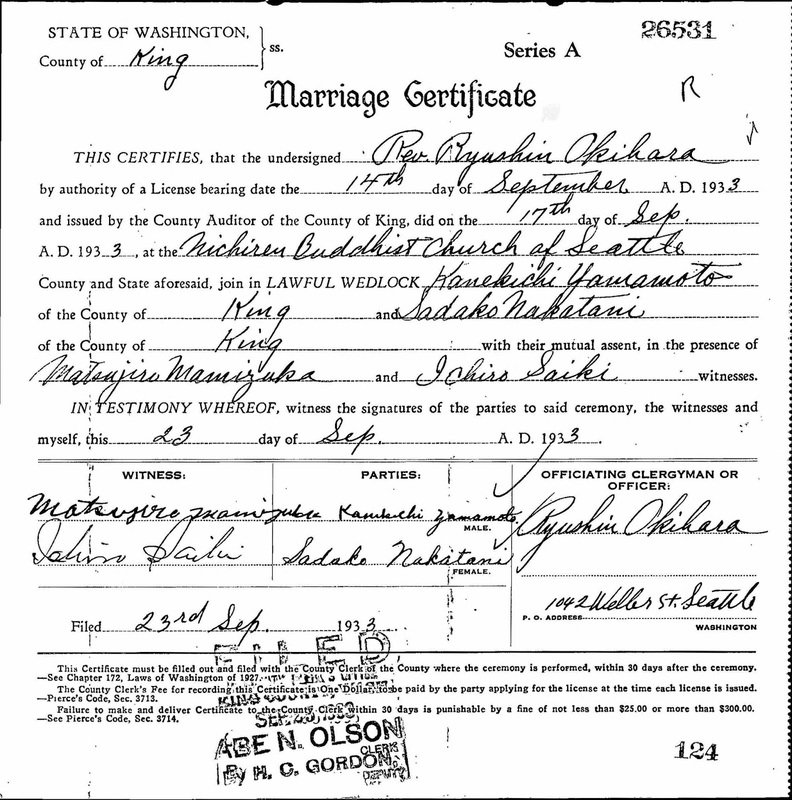 Kanenikichi and Helen were married. 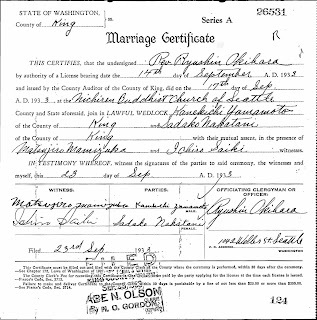 Soon, a son, my father would be born, on August 8, 1934.